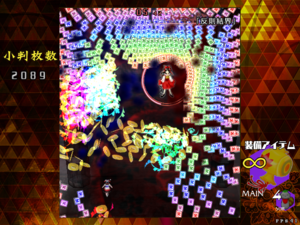 Danmaku Amanojaku Gold Rush (also known as Gold Rush) is a one stage Touhou mini-game made for the Digital Game Expo 2014’s “Doujin Shooting Game Caravan” contest. The game was not made for public release or retail sale, so it is currently lost. 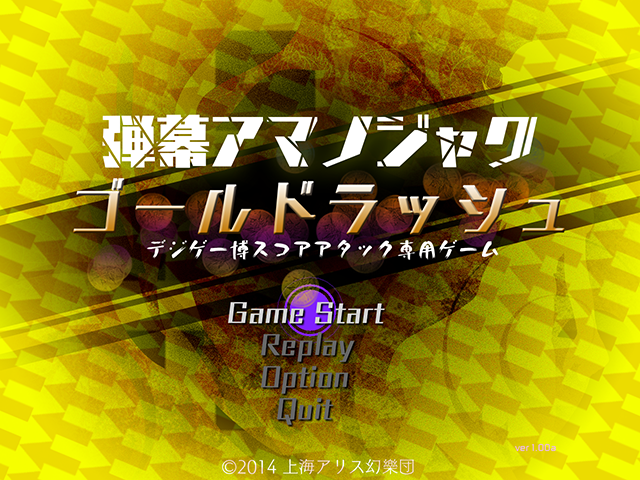 The title screen text is slightly to the right compared to the original and the background is more yellow. The arrows on the title screen are less visible. When the player collects kobans in the original, sparkles appear. The remake doesn’t have this. Whenever the player activates the miracle mallet (real) in the original, the image on the right will dim to show that the player can’t use it until it un-dims. This doesn’t happen in the remake. 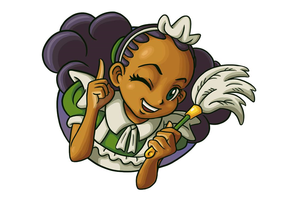 The character themes in the original Gold Rush are arrangements made for the game. The remake just takes themes from the original game, Impossible Spell Card. Recording of gameplay from Danmaku Amanojaku Gold Rush.